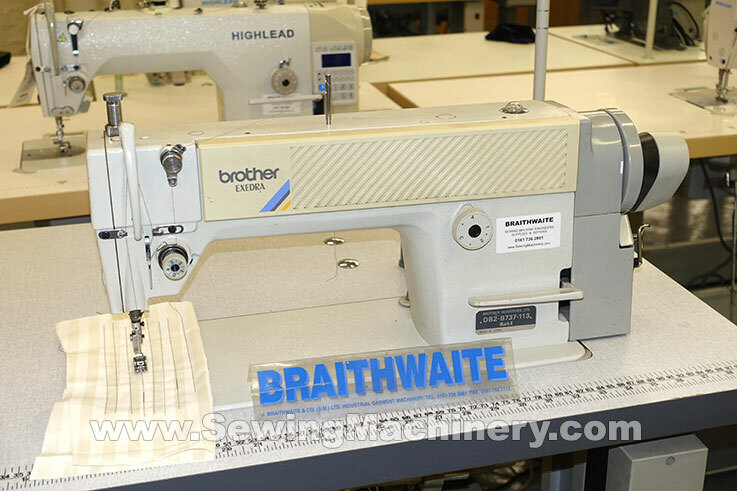 Brother DB2-B737 -113 industrial sewing machine with automatic thread trimmer and electronic needle position motor. Made in Japan by Brother (not to be confused with cheaper Chinese made models). Including a quality UK made wooden table top and metal unit stand. Very good condition, see photos. 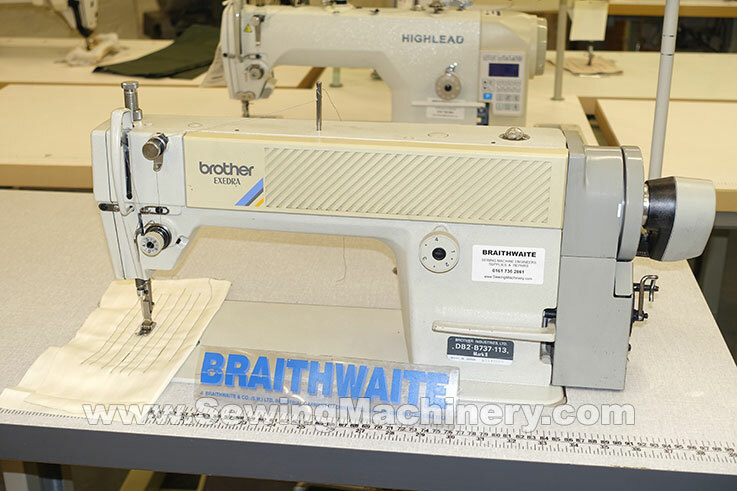 Serviced & tested with industrial warranty.